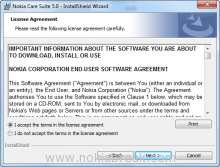 Nokia Care Suite is a Service Software that supports All Nokia Handsets including GSM and CDMA. 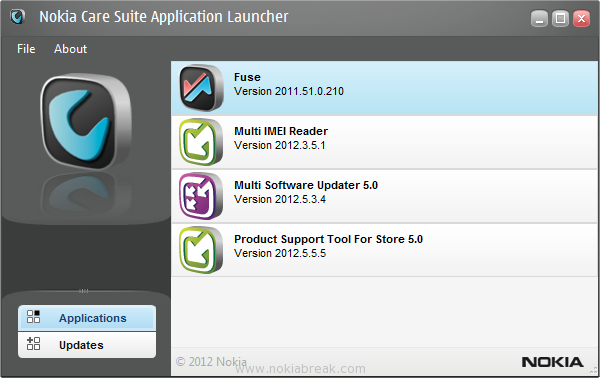 The Main features of Nokia Care Suite is Fuse, Multi IMEI Reader, Multi Software Updater and Product Support Tool for Store. Fuse: With Fuse (Connection manager) you can Add, Edit and Delete Connection to Nokia Prommer Device (For Example: FLS-4 and FLS-5). Multi IMEI Reader: With IMEI Reader you can view IMEI number of any phone. Multi Software Updater: You can use Multi Software Updater to refurbish, update software and provision settings for multiple devices at once. Product Support Tool for Store: With Nokia Care Suite Product Tool, you can refurbish, update software and do other maintenance work for single product at once. .NET Framework: Before Installing Nokia Care Suite, you have to Install Microsoft .NET framework 2.0, which can be downloaded from Here. VC++ 2010 SP1 Redistributable: Once .NET Framework is Installed on computer, you have to install VC++ 2010 SP1 Redistributable, which can be downloaded from Here. You can download Nokia Care Suite from Here. 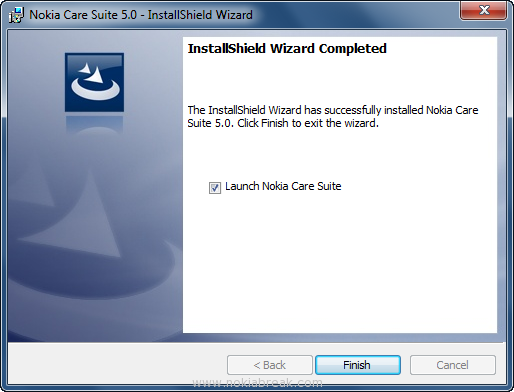 Once You have downloaded the Nokia Care Suite, Click on the Setup file to Open it and Press on the Next button to continue. 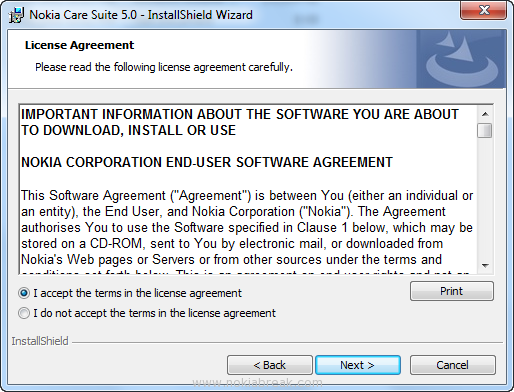 On the Next Screen, Select “I accept the Terms in the license agreement” and Press on the Next Button to continue. Next, You have to Fill your Name as a Customer of Nokia Suite. Once you filled the Name, click on the Next Button to continue. Now, Setup the Installation Type “Complete” or “Custom“. We recommend you to choose “Complete” option. On the Next Screen you will be asked if you want to have “Shortcut on Desktop” and “Quick Launch Shortcut“. If you want these shortcuts then Select and Click on the Next button to Start Installation Process. Now, Installation process will be started and once it is completed click on the Finish Button. 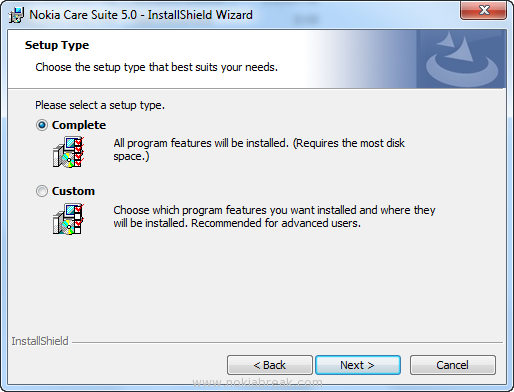 Once, installation process is finished you will see Nokia Care Suite shortcut Icon on the Desktop of your computer. If you want to open Nokia Care Suite, simply click on the shortcut Icon anytime. 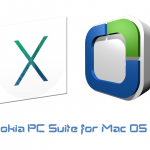 Note: Nokia Care Suite supports Windows XP, Vista and Windows 8 without any errors. Nokia Care suite cannot be connected. @Chris, We are fixing the links ASAP and thanks for informing us. I will be happy if it were easy to install as say here. But with Windows XP, it’s not. It says : “Please install Microsoft VC++ 2010 redistribuable” with an internet link, I click “Ok” button, but nothing happens. Then, a message appears : “the wizard was interrupted before Nokia Care Suite 5.0 could be completely installed. Your system has not been modified. To install this program at a later time, please run the installation again. Click Finish to exit the wizard.” No choice, you can see. The link you proposed for VC++ 2010 SP1 Redistributable lets you download a file .exe that installs VC++ 2005 ! 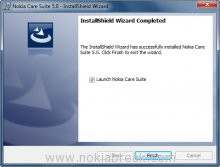 Is it an error, or should VC++ 2005 be installed to be able to install Nokia Care Suite 5.0 ? Could someone give a idea about this mess ? links is worked,tks too much for that. ok it isn’t a problem.In the task where “Care Pro” is being mentioned you just click and choose the first option and click on login it will be ok.
What if you keep getting the same exact prompt to install 2005 VC++ redistributable SP1 because the file wont finish installing? Every time I run the C++ installer the download gets to the “gathering required information” part of the install, then it just shuts down. why would windows 7 be an issue? I had this exact issue. Strangely enough i then attempted to D/L the file using IE10 (as opposed to Chrome) and it worked! I’m getting the same message when I connect my Nokia Lumia 800 to the Care Suite. How can a Nokia product not be supported by Nokia?? Nokia Care Suite can’t connect to network… Should I select something in the preferences? 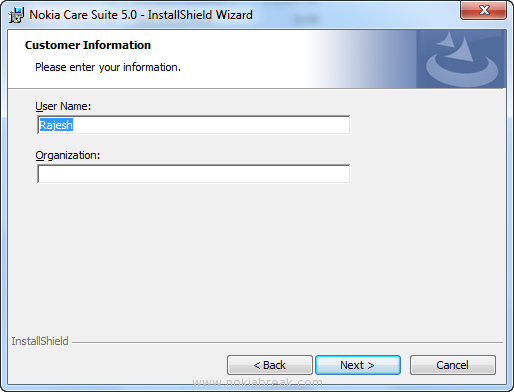 After installing Nokia suite care 5.0 i can’t launch it. I don’t have shortcut on desctop and i don’t know where to start it from. Product Support Tool for Store stays on Offline … And my N8 is “not supported” !? Just few mins ago i have this problem too. I tried change the USB cable plug to USB2.0 port and this error was gone. You say that all Nokia models are supported; the nokia X7.oo (RM-659) is not supported. What can I do to get support? when i install the nokia care it give me one error 1904? what can i do? is there a user/pw anywhere? disculpa al momento de instalarlo me dice que mi sistema no esta modificado que puedo hacer ? Could some one help me please, I really need to get a Lumia 920 that’s stuck on the cogs working, I am trying to install the Nokia Care Suite but it asks me every time again to install Microsoft Visual C++, I have installed it from the link, different versions from the Microsoft website, tried it on my PC and Laptop but no matter what it always asks again to install Microsoft Visual C++, I am using Windows 7 and I don’t have access to computers with any other OS. after instaling these 2 softwares it also gives the error. Could some one help me please, I really need to get a Lumia 920 that’s stuck on the cogs working, I am trying to install the Nokia Care Suite but it asks me every time again to install Microsoft Visual C++, I have installed it from the link, different versions from the Microsoft website, tried it on my PC and Laptop but no matter what it always asks again to install Microsoft Visual C++, I am using Windows xp and I don’t have access to computers with any other OS. 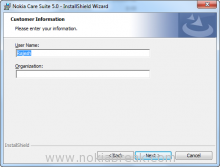 how to sign in in nokia care suite? When I try to update the care suite it tells me that I do not have sufficient rights to that. It also doesnt show the Nokia Lumia 920. What do I do? Have you found any help yet? Hola buen dia, he estado intentado instalar nokia care suite en mi notebook con xp sp3 y no he podido ya que la instalacion llega a un punto donde me tira un error, es justo cuando esta cargando los archivos .cap. Cuando aparece el error me vuelve para atras toda la instalacion. Como puedo solucionar este problema? ya instale el framework y vc. its not working win7……wat i do,? Is there an issue with the link? mi nokia care suite doesnt download firmwares it says queued for download…..what do i do!!? v&X6D;lyh rokv&X75; rxxі nywc lngbz. The requested URL /files/Nokia%20Care%20Suite%205.0.msi was not found on this server. That’s all we know. please anyone share username and password. in the Login group: Only Firmware Repository for Care are available. my nokia phone default browser and mail stopped working. Besides, the inbult tones, themes got lost. How can i restore all this including the initial system apps?? very bothersome to inform the reality however I’ll definitely come back again. totally different subject but it hass pretty much the same layout and design. Great choice off colors! Great items from you, man. I have be aware your stuff prior to and you’re just extremely wonderful. what you’re stating and the way in which by which you say it. I could nott resist commenting. Very well written! The download link is giving a 404 error.